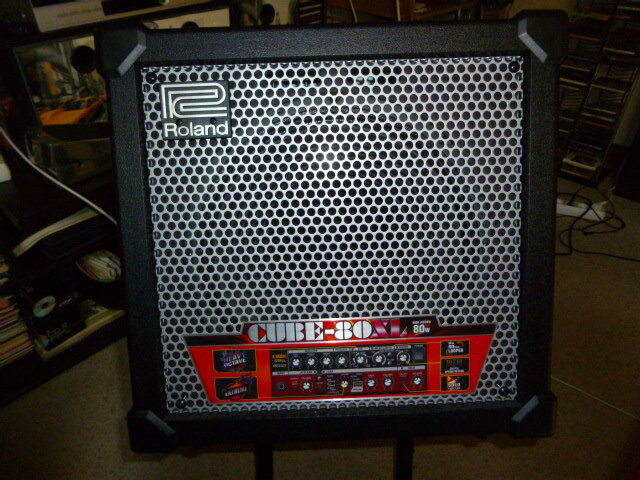 Cube-80XL, Modelling Combo Guitar Amp from Roland in the Cube series. This amp produces some nice and very usable tones. The cleans are just out of this world good. Arguably the best clean amp that has ever been produced in the Roland Jazz Chorus. This amp has been sued the world over. One big user was James Hetfield from Metallica. All of his clean tones came from that amp during recording sessions. So in this amp they have modeled the clean after that highly sought after tone. Wow does this thing produce some fantastic cleans. It is almost worth owning this amp just for that application. The clean is probably the most impressive tone from this amp. Since it is based off of the best clean channel amp in history. 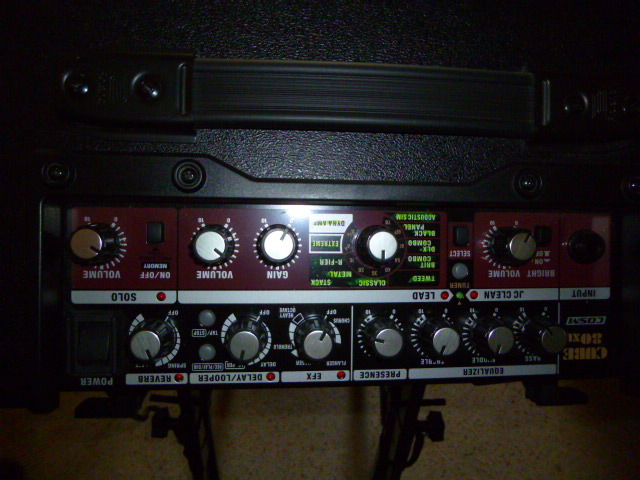 However, the dirty channel and the solo channel are excellent plu you have the 11 amp model to choose from. This amp produces some good lead distortion for soling and chugging rhythm tones. I like this amp will a Les Paul or other humbucking style guitar. The clean is so good that it makes a bulky Les Paul tone seem chimey like a Fender Tele. At new these units come in at around $370 which to me is a bit high. This is still an amp modeler and doesn't have any tubes. So the price to me seems a bit steep. 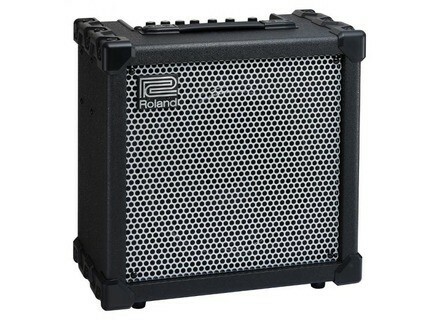 If I were to get one I would go for the 15 watter since I just want the practice aspect of the amp. 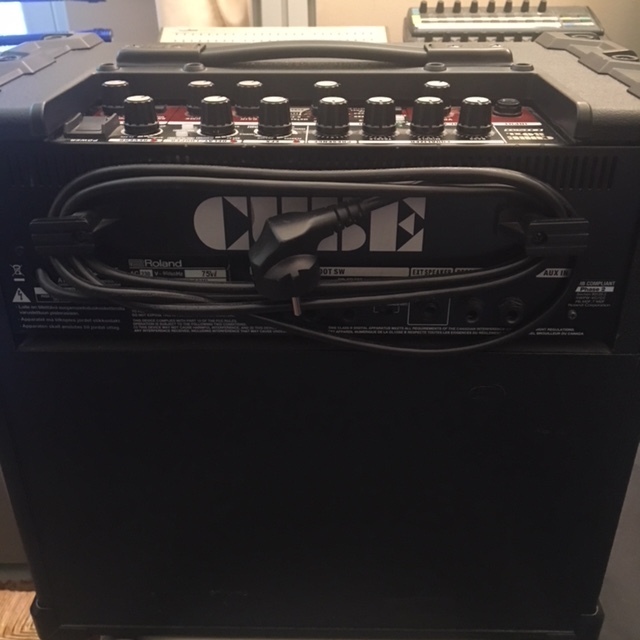 This amp is 80 watts and is intended to be more than a practice amp. They want you to gig with this amp. It does have good tone ad so i you wanted to run in into a PA system or recording device for line use. If that were the case though I would get the 40 or 15w version. 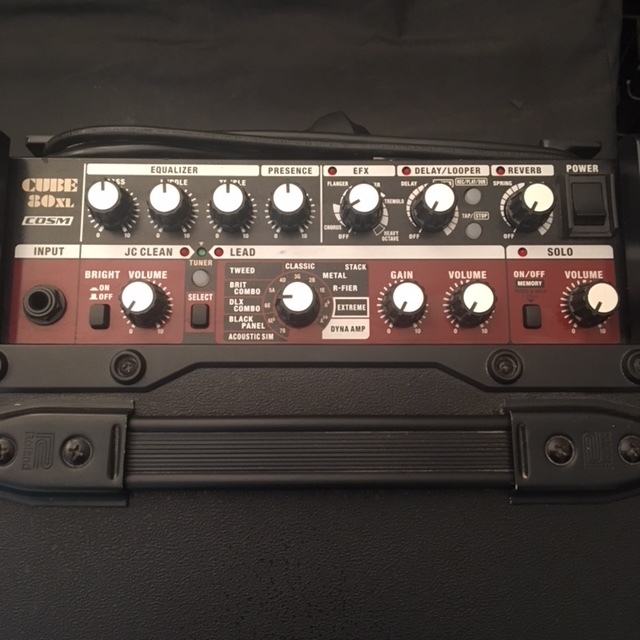 I use a Schecter Ultra Cure, so no problem is the same amp Robert Smith during summer festivals 2012 "SUMMERCURE"
Frankly, the price is ridiculously low! for the model (size) for you to see! the ideal is to make as big Bob, buy 2 for Stereo! mlptictac's review (This content has been automatically translated from French)" Perfect for small stage or répéts"
The configuration is simple. The manual is clear. You can save up to 4 different configurations. I struggled to find a good sound, but I fear that this is more my fault than the product. It is essential to use footswitch when we want to use the looper or change preset concert (personally, I am made one because I find it too expensive to buy 3 dobles switch + cables). Some effects are difficult or impossible to live. Well suited to my style of music. I like the clean sound, the dynamic amp. I do not like the preset Extreme (not my style) and simulation acoustic guitar (not sure). It's still modeling so it's not bad but it is not the sound that kills either. For cons, I use it sparingly because it adds reverb sounds quickly a little weird. I use a Squier Telecaster. I use it for 2 years. I did some concerts outdoors or in a theater. Power is quite satisfactory. At the moment we have no battery but the bassist plays hard and is always hears no need to dub the sound. Output or headphone sound degrades sound and contains a lot of breath (unsuitable for transplant). The looper is nice although a little hard to use in concert (must be specific to the pedal). The beast is quite heavy to move but still compact compared to the power. I'm happy with my choice, especially as I had for the price of its predecessor (80X). 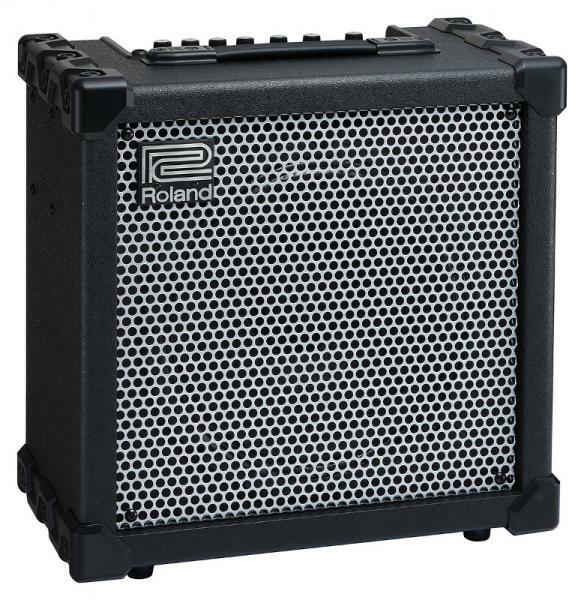 Roland U.S. announced the Cube-XL series (made of the Cube-80XL, -40XL, -20XL, and -15XL) of guitar amplifiers, the latest generation of its Cube amp family.